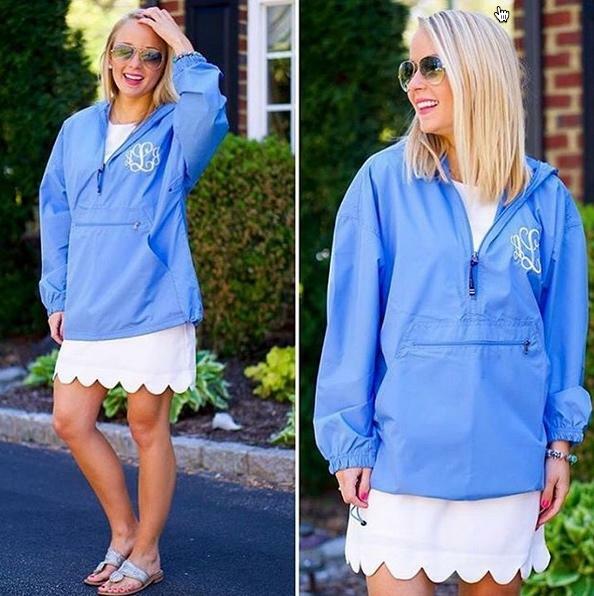 Our lightweight Monogrammed Charles River Pullover Rain Jacket is a best seller and looks great with this 3 inch monogram on the left chest area. 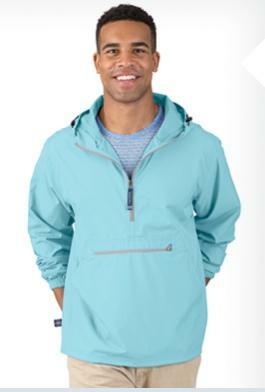 Jacket conveniently packs into its pouch pocket located on the stomach area that makes it easy for travel, and serves as a great go-to jacket for unexpected rain showers and cloudy days. Pack this jacket in the car, tote, or keep it hanging by the door. These are sized for unisex so the sizes will fit men and women. Please look at the sizes when ordering. My kids have them in their lockers at school, not as clumsy and bulky as a big coat, and they stay clean in the built-in stuff sack. 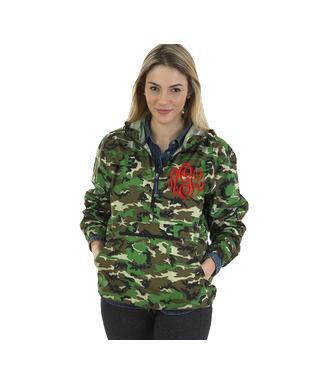 Plus monogrammed jackets just don't get lost as easily! These are sized for men. Please note for women they run large. 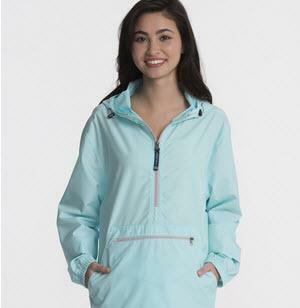 Black zippers on all rain jackets except the PINK and COLUMBIA BLUE, which have zippers that are dyed to match the jacket color. 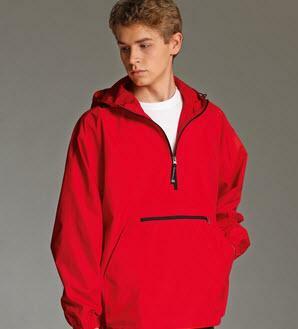 Unisex sizing means this jacket runs larger, so please see our measurement chart during checkout. You can add a second monogram on the hood during check out (monogram faces upside down on your head but sits side up when its on your back). Only the main monogram on the chest is included in the jacket base price. 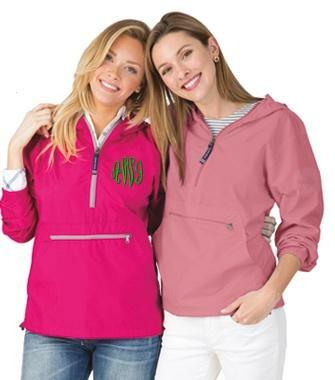 Choose jacket color, monogram thread color, size, hooded monogram (optional), personalization/monogram and font. NOTE: This jackets are unisex sizing and Run Large so please use our measurement chart before ordering.